- Leveling is done by Hand and only by Hand. - The person that is leveling your account is located in Romania - Bosnia - Germany.VPN if necessary. bought a tons of stuff from Misti, including leveling. Fast, reliable and cheap service every single time. Does it faster than i even thought would be possible. Even got alot of blood of sargeras in every order and alot of items for DE. If i ever have some problems, he replies me instantly on skype with a solution. If you ever want to buy some stuff, buy from him! 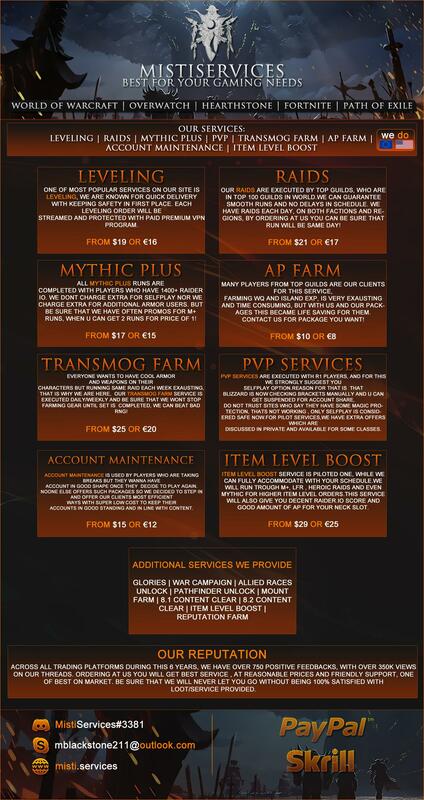 Best supplier and worker in the whole WoW community!! Taking orders 3 spots available. Amazing job done in 12 hours ? or less crazy fast this guy is the best! Taking orders - 2 spots available. 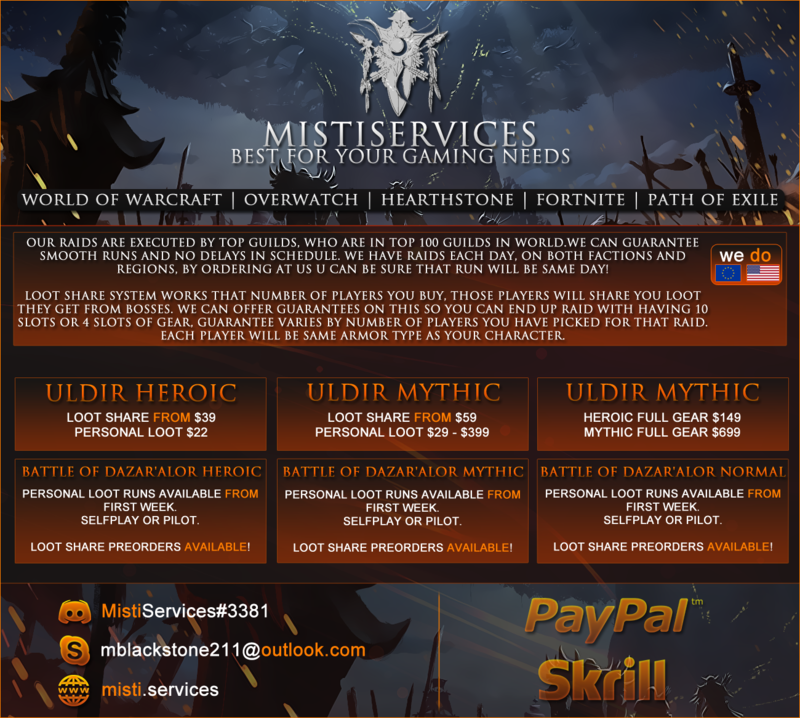 Taking orders - 2 spots for leveling. Finished fast and smooth. Can only recommend! 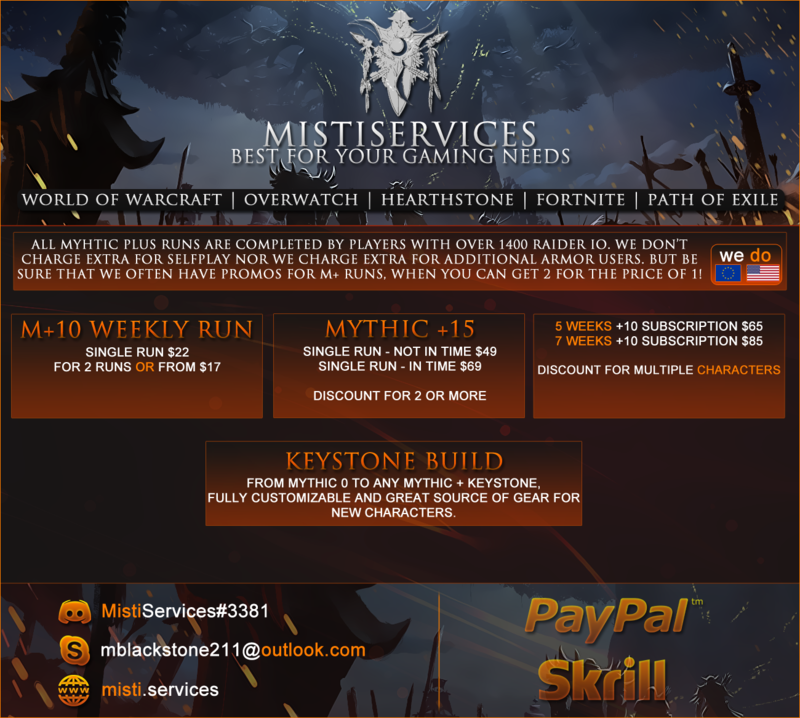 2 spots for leveling available!